It’s a given that you’re not going to knock it out of the park with every painting. Some of mine definitely make me go WOW, that really worked. Some of them, however, are good…. not just pretty good, but good…….. but….. 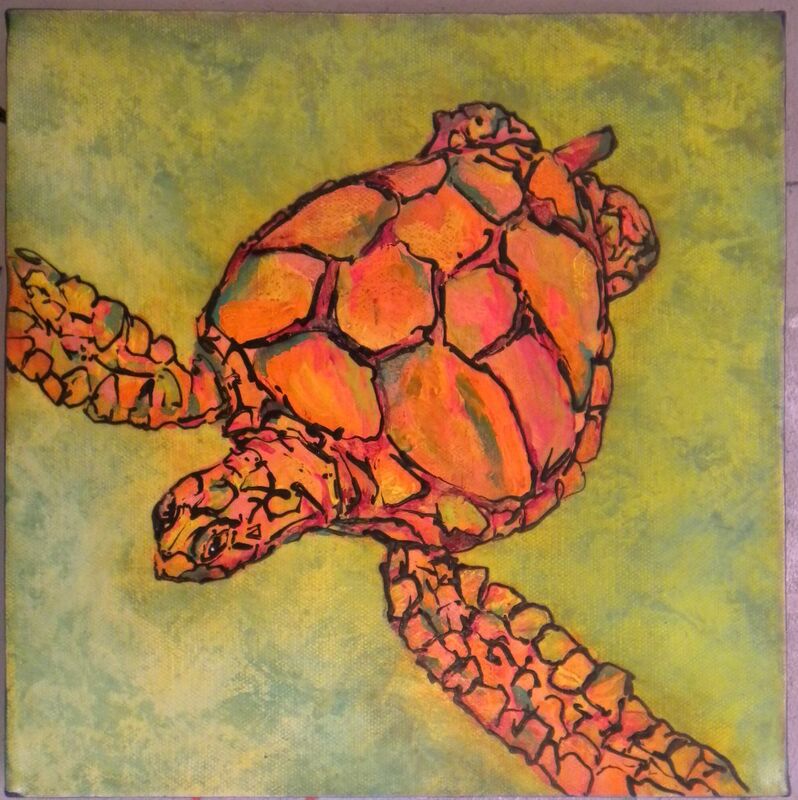 I can’t articulate it, but there’s just something missing…..
Here’s a turtle where I just didn’t get the colors right – I finally glazed over the whole thing with Quinacradone Gold, and added some shadows between the platelets. I’ll keep it, but it doesn’t have a WOW factor. I don’t find this frustrating. I know it happens to all artists. I’m just kinda talking out loud, I guess…………. 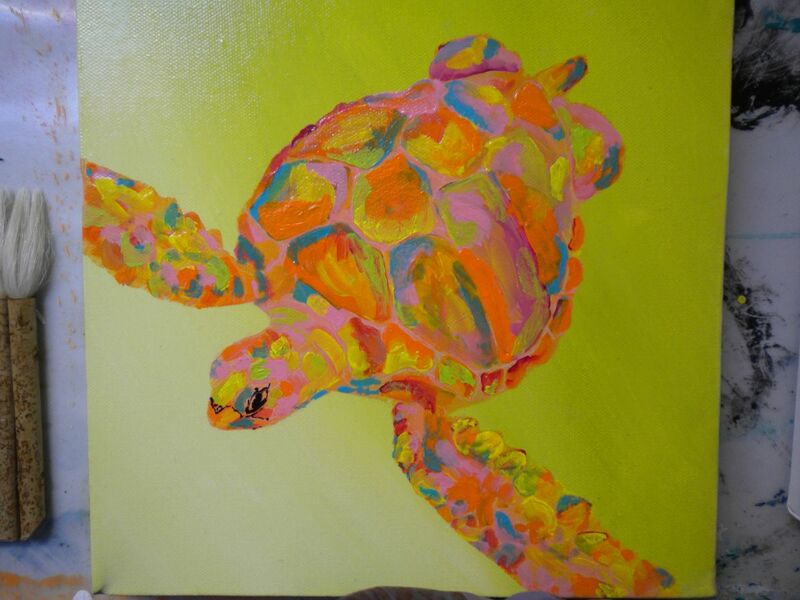 This entry was posted in Acrylics, Octopus, Turtles and tagged acrylics, Octopus, turtles. Bookmark the permalink. 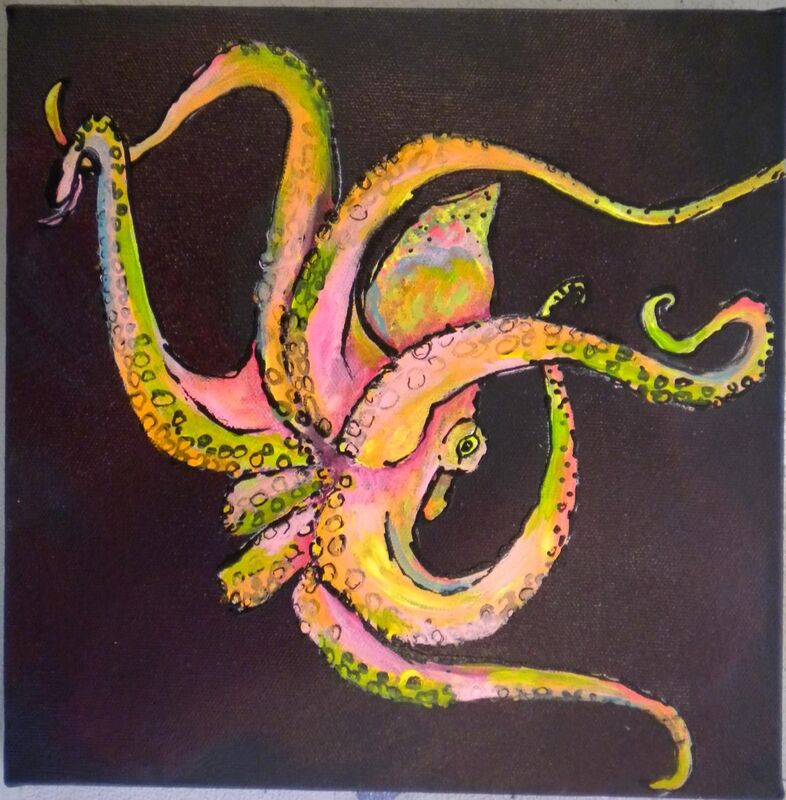 Your octopus is definitely a WOW! 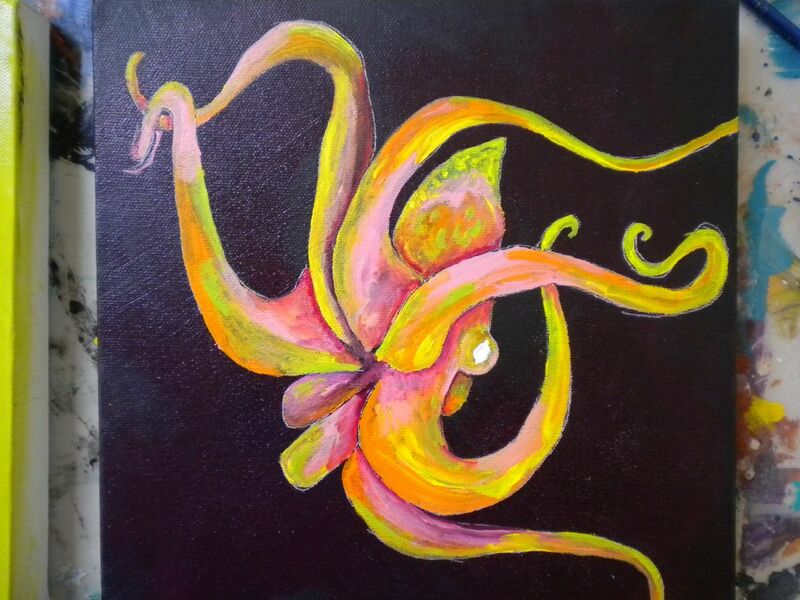 Well, fortunately art is SO subjective, and I’m glad that you think it’s a wow – Thank You! It’s positive comments like yours that allow me to keep paintings that I’m not totally in love with, but that I know have some merit.